Maze is a fun one to jam on. It can really be handled any number of different ways. 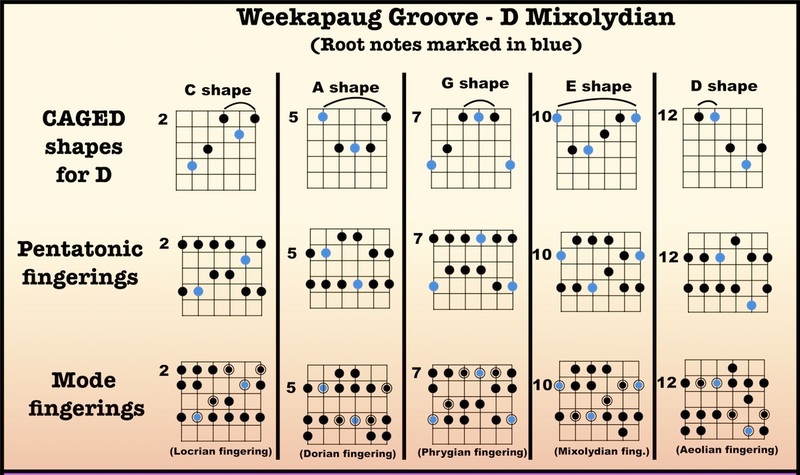 The backing progression evokes D mixolydian (because of the presence of the major 3rd), but Trey generally handles it more like a blues, where he includes both the minor and major 3rds. And when it comes time for full shred, the minor pentatonic works beautifully too. 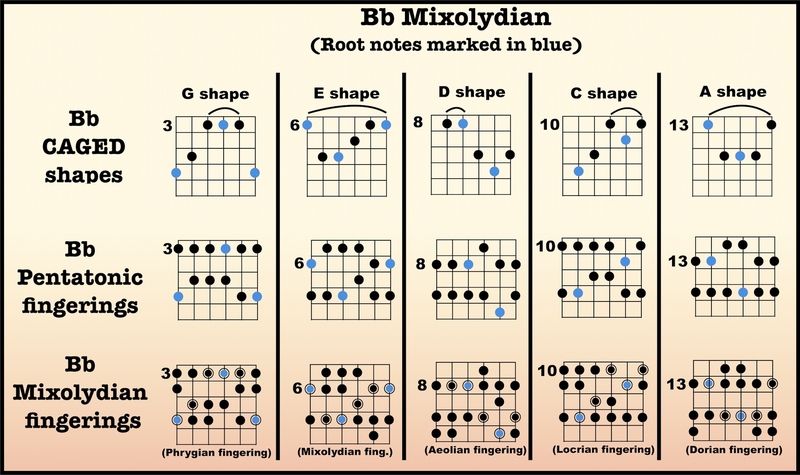 I refer to it here as the “Mixolydian/Dorian” mode because the only difference between mixolydian and dorian is the major vs. minor 3rd (major 3rd in mixo, minor 3rd in dorian). 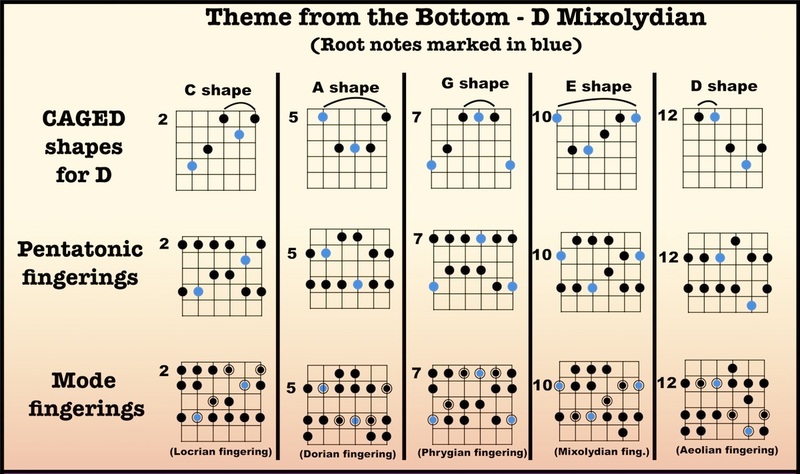 Generally speaking, you can play a dorian lick (using only the minor 3rd), a mixolydian lick (using only the major 3rd), or a blues lick (typically using the minor third as an approach note to the major 3rd).